Girls who participate in athletics have higher levels of confidence and self-esteem. Laurel athletes develop the time-management and leadership skills, discipline and resilience that serves them well in their academic work and throughout their lives. 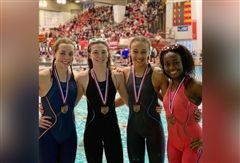 The commitment girls feel to their teammates and their sport has lasting effects. Nationally, girls account for just 42% of all high school athletes; at Laurel, more than 70% of our girls Grades 7-12 participate in athletics. In Primary School, our strong physical education program provides a foundation for athletic achievement. Our Middle School athletics program includes nine teams for Grades Seven and Eight. Upper School offers 21 Varsity and Junior Varsity teams as well as four Club teams. Laurel girls are proud to be Gator athletes, and many of them go on to play sports at the collegiate level. Whether a girl is an accomplished athlete with her sights set on college athletics, or a novice looking to enjoy the experience of being on a team, there is a place for her in Laurel’s athletic program. Go Gators! Our student-athletes compete against top opponents, work with incredible coaches, get exposure to a variety of colleges, and compete on our unparalleled fields and in state-of-the-art facilities at our 150-acre Butler Campus. Our experienced coaches prepare their teams for fierce competition, while helping individual athletes progress to the next level in their athletic development. We boast an impressive record of multiple, successive OHSAA State Tournament appearances! The Cleveland Jewish News has named Jami Morris '21 as its Player of the Week. 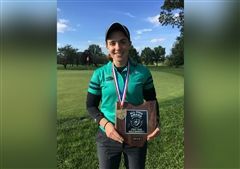 Jami Morris '21, who competed in the Drive, Chip & Putt National Finals in Augusta earlier this year, recently conducted a Q&A with Cleveland Magazine where she talked golf, fashion, the perfect miniature golf hole design and her hobbies off the golf course. 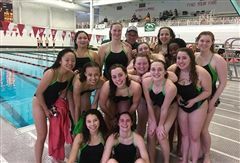 Laurel swimmers continue on their winning streak this season after winning (125-50) the West Geauga Dual Meet on January 4. 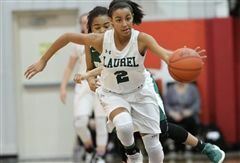 Classic in the Country (CitC), one of the nation's most highly acclaimed girls basketball showcases, took place over Martin Luther King, Jr. weekend January 13-15 and this year the Laurel Gators were invited to participate. 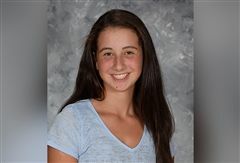 Rachel Buchinsky '20 was featured in November as Cleveland Jewish News-Buffalo Wild Wings Warrensville Heights Player of the Week. Saturday, October 21 marked the last day of Laurel's incredible tennis season where Rachel Buchinsky '20 and Priya Khadilkar '19 advanced to the state semifinals when they beat Hathaway Brown in a tiebreaker.